Great White Shark was the first ever prize winner of the BIO cup back in the day of 1997. 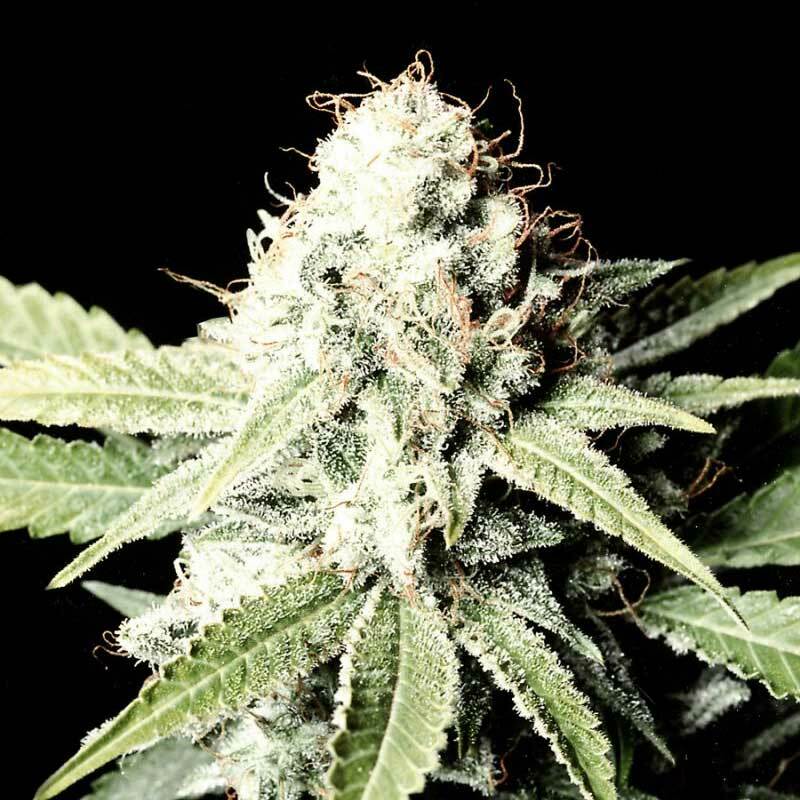 It takes its genetics from a punchy combination of Super Skunk, Brazilian and South Indian. It has an intense, fresh, almost citrus flavour with refreshing flowery tones. As the name might suggest, it is known to drag many a smoker into a very deep, strong, long-lasting body stone. This strain is also medicinally effective in pain therapy. Indoors, flowering should take 9 weeks, with a yield up to 800 gr/m2. Outdoors it finishes by the first week of October (in the North hemisphere) with a production up to 1000 gr/plant. It is a short, branchy, bushy plant which is very good for SoG and SCRoG. EFFECTS Very strong body effect, stoned and long-lasting. FLOWERING TIME FLOWERING INDOOR : 9 weeks FLOWERING OUTDOOR: Finishes by the first week of October, (North hemisphere. GENETICS Super Skunk x Brazilian x South Indian. HEIGHT Short, branchy, bushy plant. Very good for SoG and SCRoG. MEDICAL Yes: Medicinally effective in pain therapy.